Evraz, the steelmaking group owned by Roman Abramovich and Alexander Abramov, has revealed that it cannot complete the sale of its South African steel subsidiary, Highveld Steel & Vanadium, on time, and that the South Africans are the reason for the fresh delay. Nothing comparable, nothing responsive, and nothing concrete has been released by the South African Foreign Ministry or Zuma’s office. Nkoana-Mashabane even told her press secretary to omit reference to the nuclear reactor issue in the ministry communique on her Moscow visit. Zuma’s calling-card in St. Petersburg was just as blank. 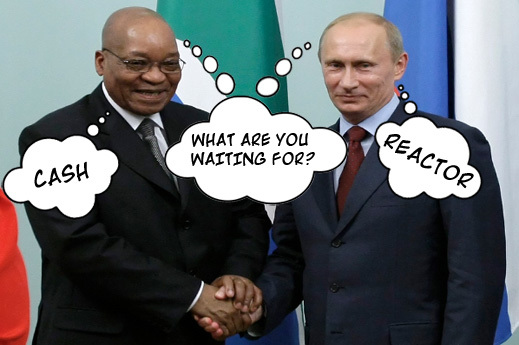 Why then are the South Africans stalling, and what are the Russians doing about it? According to Evraz, its deadline for the sale of its 85% stake in Highveld Steel, the second largest steelmaker in South Africa, has been postponed to the end of this year. Speaking at an August 29 briefing for analysts on the company’s latest financial results, Pavel Tatyanin, senior vice president for international business at Evraz, said “it is reasonable” to expect the deal to close “by the end of the year”. He explained the reason for the delay was a bank borrowing problem for the South African buyer, a black empowerment group called Nemascore. 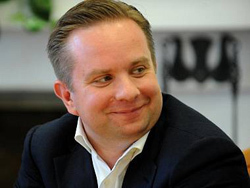 Created in February with links to President Zuma, Nemascore “was taking a little longer time to put together a financing package [because] it is a large transaction in the South African context”, Tatyanin said, adding “there is progress in our negotiations there”. Tatyanin’s remarks were recorded in this conference call with steel analysts. The reference to the Nemascore problem is at minute 25-26 of the tape. Since March 27 Evraz claims to be selling, and Nemascore buying Highveld Steel for $320 million. Prior to the deal announcement, however, the Evraz stake had been valued in the market between $106 million and $135 million. Since March the market value of the stake has failed to reach 50% of the transaction price; it is currently just $136 million. The full story can be followed here. Reporting in Johannesburg has suggested a link, at least in the scheming of the Nemascore group, between Russian state bank financing for the $320 million transaction and Zuma’s readiness to approve the first reactor purchase from Rosatom. VTB, the bank reportedly involved, declines to confirm or deny its involvement in the steel deal, or in the much bigger financing required for the reactor purchase. Again according to media investigation in South Africa, large new credits may also start to flow for Russian projects in South Africa once the BRICS Bank, the multilateral state bank being created by Brazil, Russia, India, China and South Africa is ready to open its $50 billion loan window. But that can’t be for another year, so if Highveld is to be disposed of, and $320 million loaned to Zuma’s friends and paid by them to Evraz, a bridge loan is urgently required – with a secure repayment guarantee. This is what officials of the two governments have been discussing since March. Only they can’t agree. Strangely, Tatyanin’s explanation for the Highveld sale delay was contradicted by the company within days. On September 3, a cautionary notice was issued by Highveld to the Johannesburg Stock Exchange. This repeated the deal deadline “towards the end of 2013”, adding for purported reason that “the high-level due diligence process is progressing.” To explain the unprecedented silence of Nemascore’s executives, the notice claims this is required by “a Non-disclosure Agreement… concluded between the Company and Nemascore”. South African sources reveal the government’s Industrial Development Corporation (IDC) is refusing to guarantee the financing for Nemascore to make its takeover of Highveld. IDC has already participated in one South African steel asset acquisition originally intended in 2012 to involve Evraz. That was the purchase from Anglo American of Scaw Metals. IDC bought a 74% stake in Scaw for Rand3.4 billion ($340 million) after Evraz withdrew from the bidding. Last month Abel Malinga, IDC’s executive in charge of mining and manufacturing industries, said in a press statement that IDC has never had a relationship with Evraz, and is not involved in the Nemascore deal. Arkein is headed by a group of South African executives led by Donovan Chimhandamba; the same group also runs a health care company called Razorite, and shares the same Johannesburg offices. Chimhandamba says that he and his associates are not connected to Nemascore, and have no involvement in the takeover bid for Highveld Steel. Whether that deal goes through or not, he said, the Evraz “interest is in providing the tailings” for reprocessing into titanium dioxide. According to Chimhandamba, “Arkein is involved in developing a titanium pigment production plant which will use Evraz Highveld Steel’s waste slag in eMalahleni [Mpumalanga province, east of Pretoria]. Evraz is contributing the waste slag and we are funding the feasibility studies.” Local press reports suggest that the cost of the project studies is being covered by the government through IDC. The Nyanza project appears to have started with a February 2010 announcement from Rare Metals Industries (RMI), then a vehicle for Chimhandamba to raise an estimated $1.2 billion for titanium and other metals processing. In the initial releases Chimhandamba referred to “Russian investors”, hinting that he was already in talks with Evraz. The titanium for refining in the purported project was originally planned to be extracted from 200,000 tonnes of waste slag from the Highveld mining operation – 200,000 tonnes of slag to be turned into 50,000 tonne of titanium dioxide (paint pigment). The RMI project vehicle later turned into Arkein and from Arkein into Nyanza. Evraz hardly lacks home-grown expertise in mining. Its Kachkanarsky complex is one of the five largest mines in Russia; it specializes too in extracting vanadium, an alloy for hardening steel, and also for combining with titanium in several applications. Evraz is also one of the two largest coalminers in Russia. So what special expertise did Evraz or its Highveld executives need to manage their open-pit iron-ore mine at Mapochs, and why were Chimhandamba and his associates chosen for the mission? In 2010, when Tatyanin (right) was in Johannesburg for negotiations on the future of Highveld, he hinted that Evraz was looking for a black empowerment group to take over the Mapochs mine on terms which would protect the supply of iron-ore to Highveld’s steel smelters, and avoid trouble with the government in Pretoria or disruption by the unions. Chimhandamba, RMI, Arkein and now Nyanza appear to fit that bill. Sephaku is principally a cement producer, and is on its current statement loss-making. 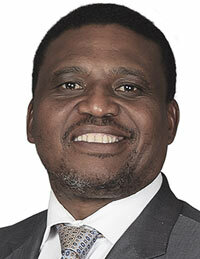 The board chairman at Arkein, Gilimamba Mahlati, was a non-executive director at Sephaku Holdings until he resigned in July 2012. 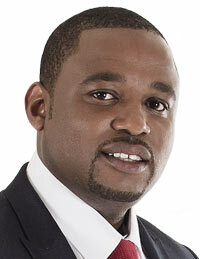 Mahlati claims to be a specialist in liver transplant surgery. But he also claims that published biographic listings for him are in error. At Evraz’s office in Moscow, Tatyanin was asked to clarify the relationship between Evraz and the Chimhandamba group, especially the mining expertise provided in the Mapochs management contract, and the results of Evraz’s due diligence on the Nyanza project group. He refused to respond.